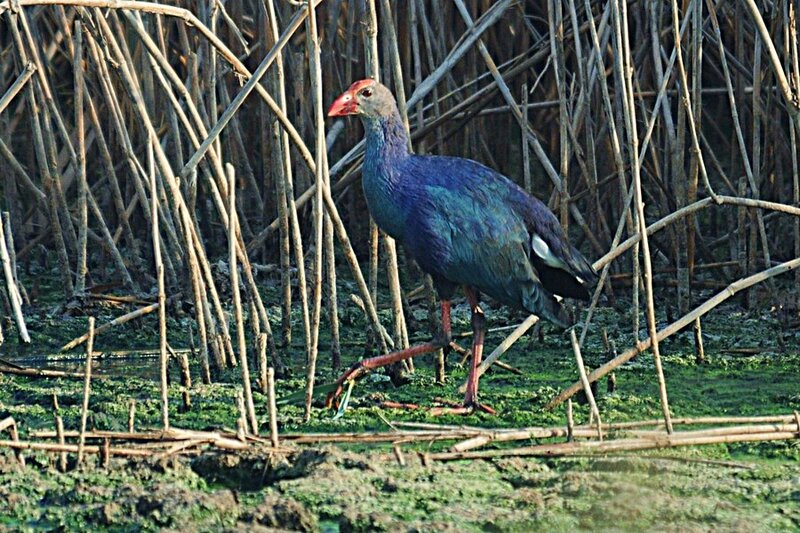 The last three weeks whilst driving to and from Sabkhat Al Fasl (Jubail) we have noticed a number of Purple Swamphen at a new site 25 kilometres south of Jubail on the main road (N26 49 26 E49 34 38). We stopped last week to see if we could record any juvenile birds there but without success. On Thursday 25th August we again stopped and saw two adults and a juvenile together along with four other adult birds. 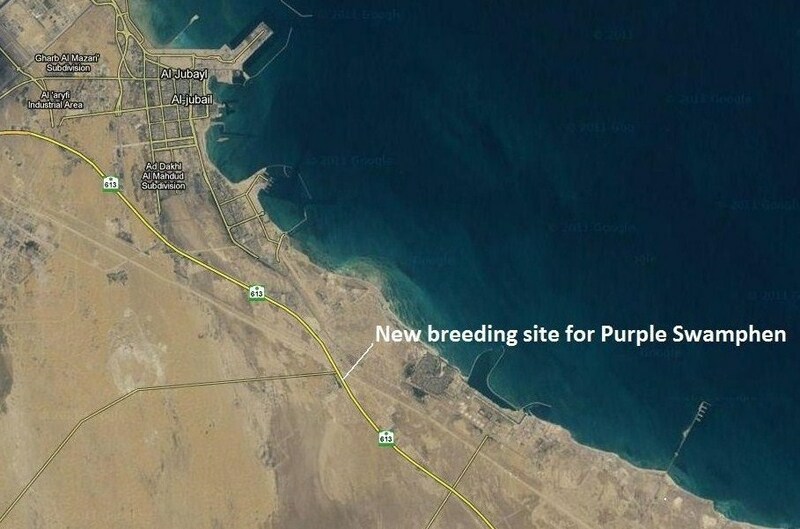 This is a new breeding site for the species which was only first recorded in the country on 8th August 2003 at Sabkhat Al Fasl with the first breeding record for Saudi Arabia occuring as recently as 2007 at the same site where there are now numerous pairs. I have included a map below as well as a photograph, although this was taken at Sabkhat Al Fasl but shows the habitat type and species. Thanks for the kind words about the blog. I am afraid I have no idea how to get listed on Yahoo News as I did not know I was listed? Sorry I can not be of more help.